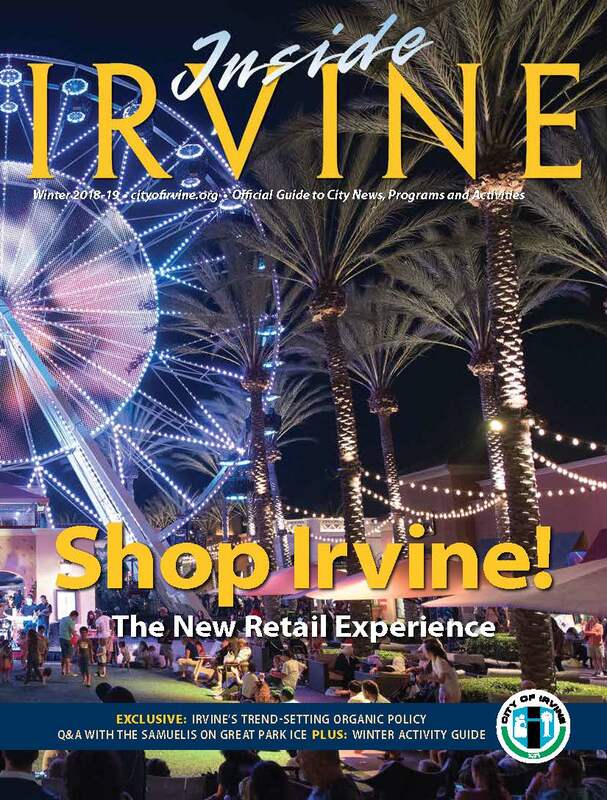 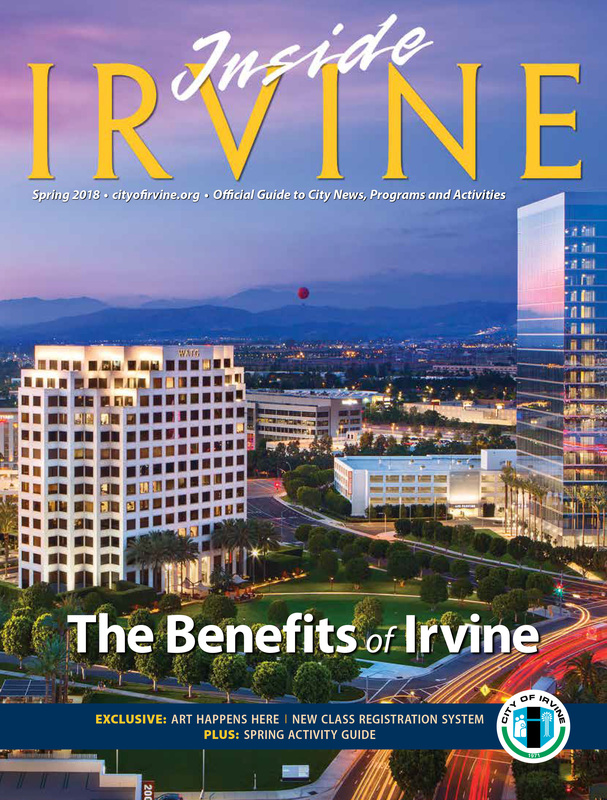 Inside Irvine magazine is mailed to all City of Irvine residents on a quarterly basis. 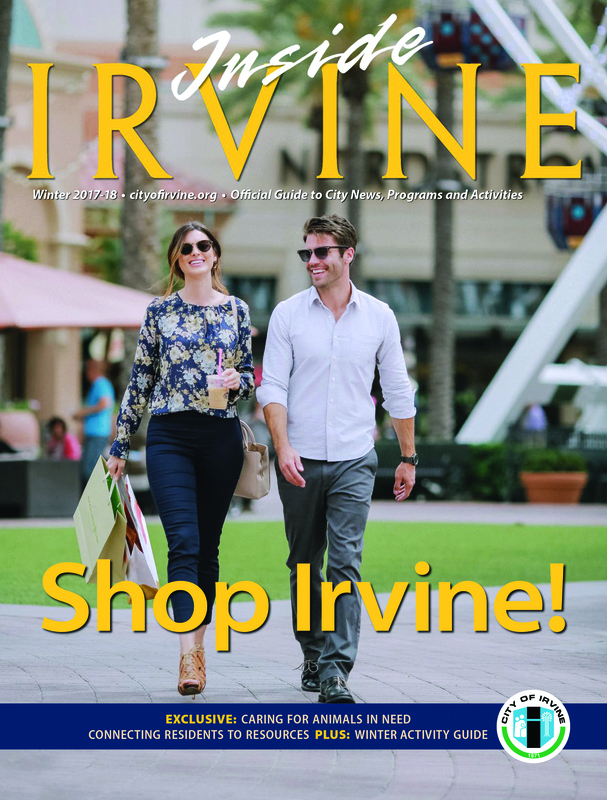 If you live in Irvine and did not receive the magazine, you may request a copy by calling 949-724-6610. 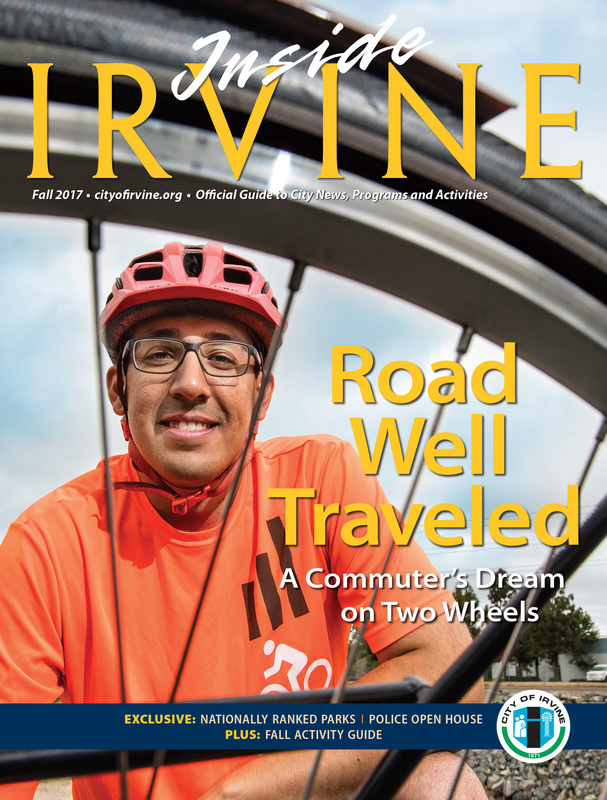 Additional copies are available at City facilities, including all community parks and senior centers. 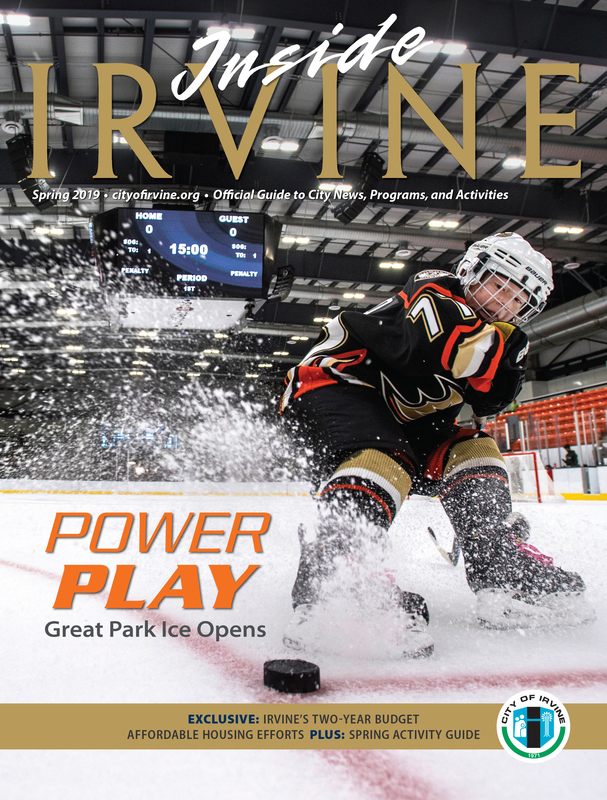 The magazine is also available online; click on the covers above to read past issues. 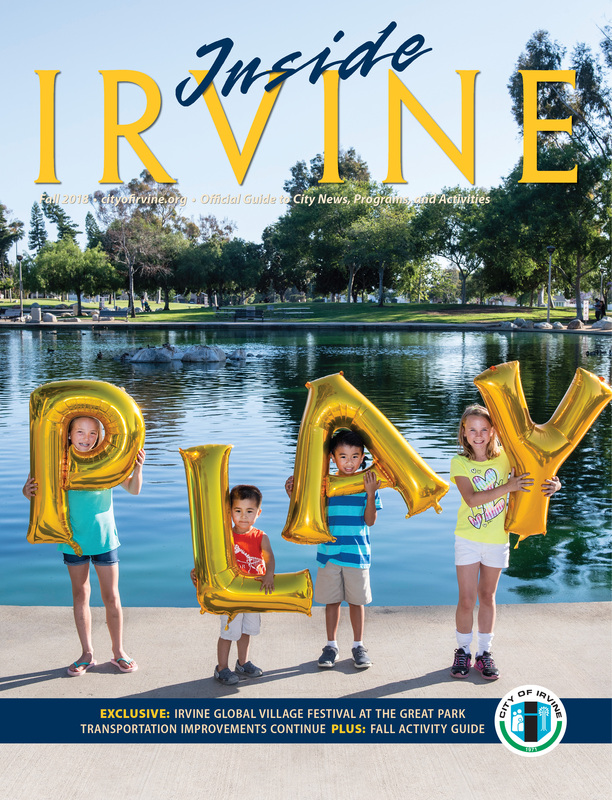 For the current edition of Inside Irvine, please visit cityofirvine.org/insideirvine. 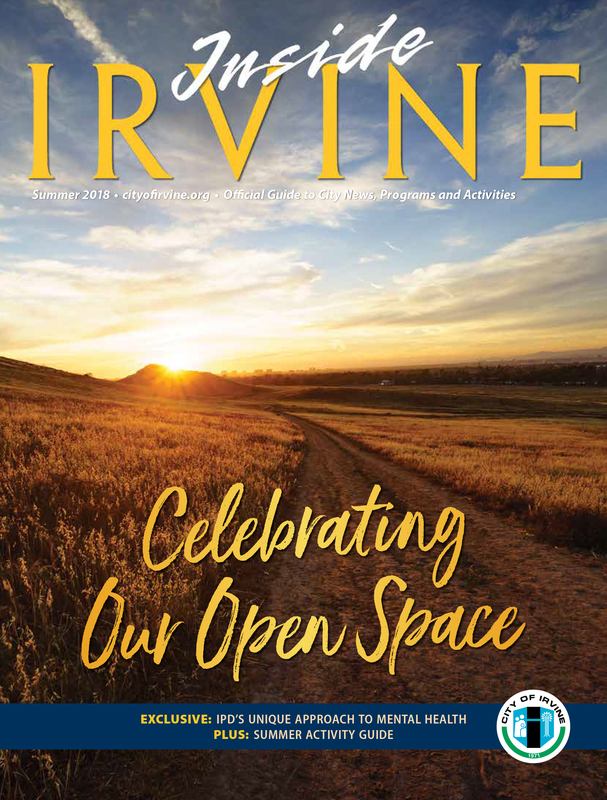 For non-Irvine residents and businesses interested in receiving Inside Irvine, please call 949-724-6610 to be added to our mailing list.